Lake Minnetonka Homeowners Insurance: Could it Happen to You? If you’re like most homeowners, you have questions about your Lake Minnetonka homeowners insurance. Unless you’re an insurance expert, very few of us understand all the ins and outs of our homeowner’s insurance policy. More importantly, few homeowners truly understand how losses caused by natural disasters affect their insurance premiums. Believe it or not, homeowners across the country have decided to drop their insurance policies altogether. Let’s examine the reasons why and consider if you could ever find yourself in their shoes. Property insurance premiums have risen steadily over much of the last decade, according to Trulia, who cites government sources that say a record number of homeowners are relinquishing their insurance coverage. Hurricane Matthew, which recently wreaked havoc all along the Southeastern United States coastline, was responsible for losses estimated as high as $6 billion – primarily caused by high winds and storm surges. Now federal officials are discovering the damages will likely be much higher, since many of those affected by the storm were uninsured. Most mortgage lenders require – as a condition of the loan – that a homeowner’s policy be in effect. As a result, the the mortgage is paid off, homeowners elect to go without insurance. Homeowner’s insurance coverage is expensive and has increased steadily over the past eight years. During that time, premiums have risen an average of more than 28% nationwide. Trulia says that of the 25 most expensive homeowner’s insurance markets, 10 are in the Southeast. 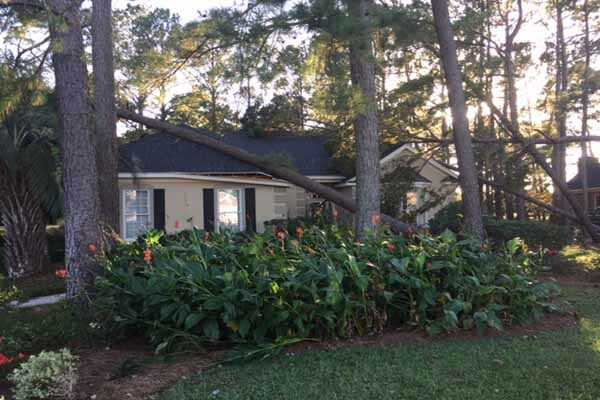 Despite the fact that many homeowners did not have insurance in the areas affected by Hurricane Matthew, there are other means of compensation and relief. In times of natural disaster the Federal Emergency Management Agency (FEMA) often steps in to provide assistance capped at various levels depending on the regional maximums and extent of the damage. The big question homeowners should wonder about their Lake Minnetonka homeowners insurance coverage is, “Could it happen here?” Let’s take a look at what could happen and why. While the threat of hurricanes is more likely in some parts of the country than others, there are other perils or natural disasters that could affect insurance companies on a national level. Tornados, wildfires, earthquakes and raging floodwaters can create staggering losses – losses that a large insurance provider will ultimately have to pay. Should the losses be higher than forecasted by these large insurers, homeowners will bear the brunt of paying higher insurance premiums – sooner than later. Again, as mentioned earlier, premiums have risen over 28% in the U.S. in the past eight years alone. As has been the case in some Southeastern states who’ve experienced record flooding and hurricane damage in each of the past three years, imagine premiums which continually increase until you as a homeowner reach your financial breaking point. If your home is covered by an existing mortgage, chances are you’re required to maintain at least basic Lake Minnetonka homeowners insurance coverage on the property in an amount sufficient to cover the outstanding loan amount. However, if your home doesn’t have a mortgage, there’s no such requirement, and you’re free to reduce or even drop insurance coverage. Though not advisable, it can be an option to avoid higher premiums. And while it is one option, there are several others. Consider refinancing to have enough money available to properly cover your property in the event of a peril that could destroy it completely. Still the question remains as to whether insurance coverage is a good idea or too much of an added expense. We argue a case for keeping insurance coverage in force – always – despite the cost. Should you reduce or eliminate insurance coverage on your home? In a perfect world, the answer would always be a resounding “No!” Insurance covering your family’s largest asset – protecting the most expensive investment you’ve likely ever made – is a vital part of home ownership. Should your home be damaged or destroyed by fire or a natural disaster like a flood or a hurricane, without insurance you’d be left to repair or replace your home out of pocket. Few families in today’s economic climate are able to do that, and if you’re unable to do so, you should think twice before gambling by not having insurance coverage. With the rising cost of labor and materials, repairing or replacing your home may be a more expensive undertaking than you think. That's why your insurance coverage should always allow for the replacement value of your home and its contents. While there may be some areas of the United States that are more prone to certain natural disasters than others, anyone can fall victim to a fire or other loss that may require a substantial out of pocket expense to even attempt to recover. That’s why Lake Minnetonka homeowners insurance experts, financial advisors and real estate professionals all agree that insuring your home is not only vital to protecting your biggest asset, but it protects your family’s future, as well. Nobody knows what the future holds when it comes to higher prices – regardless of whether it’s higher insurance premiums or not. Through careful planning and frank discussions with your insurance agent – and possibly other companies in the marketplace – there are other viable alternatives to consider rather than eliminating homeowner’s insurance coverage. In our book, that should be the last resort. In fact, we’d more likely recommend selling your home and renting, or buying a less expensive home that you can more readily afford to insure. Eliminating or minimizing the risk is what insurance is all about. Protect your family’s future and their well being. You can find more articles pertaining to Lake Minnetonka homeowners insurance in the Lake Minnetonka Insurance section of our site below Lake Minnetonka Real Estate Categories in the column to your right. Remember, you can also check us out by following us on Twitter and finding us on Facebook. Don't see what you're looking for? Try our advanced real estate search.